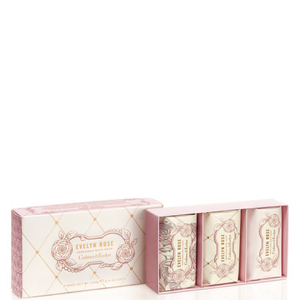 Delicately cleanse and fragrance skin with the Evelyn Rose Soap from Crabtree & Evelyn. 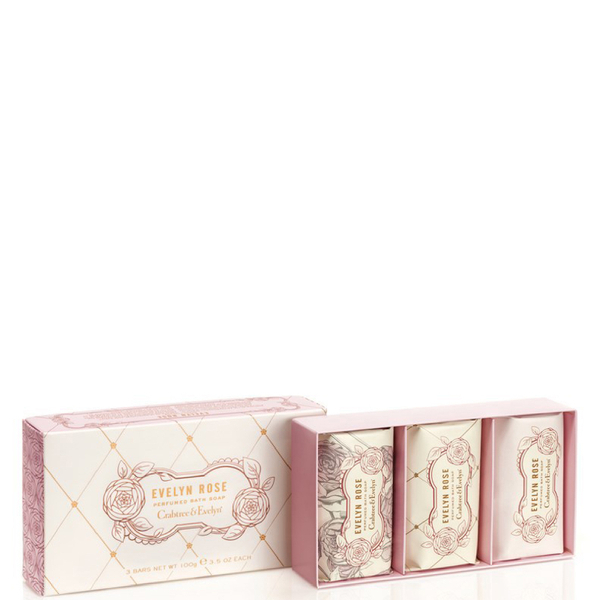 Triple-milled for long-lasting effect, the soap forms a rich, creamy lather that envelops the body with a soft floral bouquet of Rose, Jasmine and Violet, enhanced by Bergamot, Peach and sensuous Amber. Individually wrapped and housed in an elegant gift box, making it the perfect pampering treat for yourself or a loved one. Top Notes: Peach Nectar, Bergamot. Heart Notes: Rose, Jasmine, Violet. Base Notes: Amber, White Musk, Vanilla. Formulated without mineral oils, parabens, phthalates or propylene glycol.